After a five-year absence from the board I have decided to run again for the board of directors of the Association for Software Testing (AST). As part of that process, I dashed off a reply to a six-question interview that included a biography. That questionnaire was pretty good, but I wanted to expand on my answers a bit in my own format. Let’s start with my qualifications, and why I am running. Here’s a few of the ways we worked together to make that happen. In 2011, when CAST was invite-only, I sent a last minute email to the conference chair, a tester with a known “strong personality”, suggesting the event become a little more open. Instead of a fight or argument, James Bach basically said “If you think you can do a better job, then you can have a track.” The result was the Emerging Topics track, which was livestreamed mostly due to the efforts of Ben Yaroch. – That livestream would come back in 2012-2016, so people unable to participate in CAST could at least watch one track. In 2012, we added Test Coach Camp as an AST-funded peer event before CAST. 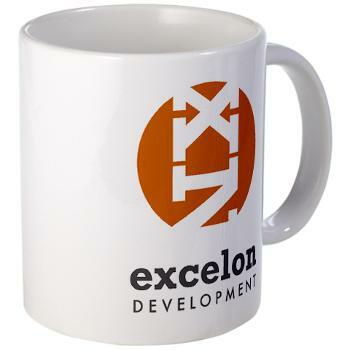 In the years after, Excelon would continue to run TestRetreat as a pre-CAST event; eventually AST licensed the event from Excelon and ran it as part of CAST. – We ran WHOSE, the WorksHop On Self-Education in Software Testing, where I was the lead organizer. WHOSE resulted in the only major AST publication created by members for members – the “WHOSE Book”, which is published as a wiki. – I was the lead organizer of the AST Grant program, which still exists today, designed as a give-back to the membership to inspire local events. Many of those programs still exists, as major bullet points on the AST web-page. Then I let go of the wheel and let someone else have a turn. As I said in my interview, I see AST at a crossroads, and I currently have the time, energy, and ideas to re-invest in it, with a focus on adding value to members. How Are You Going to Do It, Matt? Speaking of distance, we could provide travel help for all CAST speakers, lowering barriers to speaking. Or create sponsorships to send twenty people to CAST who have needs or represent alternative viewpoints. Or hiring someone to create an AST-branded course about Testing for Udemy, Coursera, so people can learn about testing from afar. The challenge isn’t coming up with the ideas. It is narrowing our work in progress, selecting the vital few that we have the time and energy to put resources behind. Occasionally, it means tweaking or ending an initiative. The real answer is that I’m not going to do it. No single person is going to be able to carry AST. What I can do is help be part of a coalition to get things done. I expect the new board will look at these ideas, turn their head, squint, and come up with something better – and that’s just fine with me. Part of rejuvenating AST is reaching out to the membership to keep them informed about what AST is doing, something we did well in the past, and I have learned to do in order to run Excelon. I firmly intend to keep the organizations separate, but the same communications techniques apply. What we do, and how we do it, will be a result of the identity AST picks for the next several years. What Do You Mean AST Is At A Crossroads? On one hand we have the old guard, mostly testers, who identify the activity with a specialized role. These folks advocate a view of testing as a skill, mostly done by humans in the moment. At the same time, there are large communities within software that either view testing as a specification-inspection activity best automated, or, at best, view testing as an activity that everyone can do all the time. An AST that decides it will cater to one group will likely lose out to another. Which is why I think we should involve all three in creating a wider view of testing – testing as empirical feedback. Let’s support and publish research on what kinds of testing find what kinds of bugs, and create a better risk model. Let’s have content at CAST that appeals to all three groups, along with some things for senior management. One of the most encouraging things I’ve seen out of the past few years is the work of Noah Sussman. Noah was doing continuous delivery at Etsy, working with a team that pushed about twice a day for each programmer – back in 2012. I took him seriously and we had long talks that took some of the mystery out of what etsy was doing. For example, sure, people do push to production on the first day … to add their name and picture to the “about us” page, following directions in a binder. Noah and I certainly don’t see software development the same – but we respect each other, share our ideas and build on each other. Moving AST forward, to me, means expanding the tent to find ways to collaborate with other communities. As a two time track chair and five or six times speaker at the Agile Conference, known for DevOps, Lean, TDD and code nearly as well as I am known for software testing, I believe I am positioned to do that. With the wider view, we would welcome respectful, informed debate. I think that could be managed, primarily by marking some parts of sessions as “flame on”, or “open season”, and others as not. Attendees and speakers would have the option of declining such sessions – but those are where a great deal of the “real” action would be. CAST, the Conference for the AST, is the “member meeting” required by the bylaws. In previous years, CAST would include meetings of special interest groups and even a debate of the candidates. As the percentage of people attending CAST who were AST members and SIGs have decreased, CAST has become more of a traditional conference. I’d like to revive the SIGs and make CAST continue to be a member-meeting. Those who are not AST members can still participate, and may be inspired to join AST. I’m a big proponent of transparency. Several people expressed concern about my listing the amount of the money AST had in the bank. I believe those numbers, and how they are spent, should be available to every member that would like to know. Collecting and publishing this information is a great deal of work, and if elected and selected I would volunteer to do it. As an consultant, I use formats like lean coffee and open space conferences to create the widest possible discussion with just enough boundaries and directions. I use lean to help a group take the many good ideas, limit them to the vital few, and provide them the focus and update they need to be successful. Getting a room full of testers to agree on anything is hard. Questioning and finding problems is in our nature. When I served on the board before, we had strong personalities, but seemed to manage to work for the good of AST. I lost quite a few votes, but am pleased with the outcomes we produced. I believe AST could use those same facilitation and organization today, and I would like your vote to try. If I don’t have your vote, I hope you’ll do me the courtesy of talking to me about it, for my own education if nothing else. You get it Matt, and you’d get my vote too.